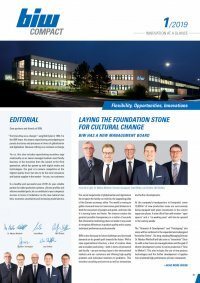 The items presented in the last BIW newsletters from the field of moulded parts were focused on keywords such as project management, technical application consulting and the strong development of the Silicone Mouldings division. A new field for Silicone Mouldings is the production of perfectly matched systems for high-tech coatings of components – this describes the new partnership with TLS. silicone moulded parts are more than 50 % in some cases." well as other common industries are already well-known. The TeroLab Surface Group is one of the leading experts in the field of surface coatings. Customers of the internationally operating company include companies from the fields of mechanical engineering, aviation technology, power generation, agriculture, food and textile industries. TLS is also active in the areas of anilox roll production and laser engraving. At the same time, TLS operates in the highly sensitive area of biomedical implants. The company's roots are in Switzerland. The holding company and the management company are headquartered in Lausanne. There are two locations in Germany and another branch in France. The aim of the group of companies is to achieve a considerable positive effect on public welfare as well as on the environment through its business activities. In 2016 TLS sought a suitable partner for the production of individual moulding solutions – from small batches to batches of a few thousand. Due to the wide range of capabilities and support in project management, design and engineering, it was very clear that BIW would be a suitable partner for long-term cooperation. An advantage in the design of the components is the flexibility of BIW – due to its own design of the articles and the development of a modular tool concept. Within the scope of the mould proving, it was possible to implement adjustments quickly and in a targeted manner. The result is remarkable. With BIW as a supplier, TLS sees a long-term partner for various questions in the field of silicone processing. The future lies in silicone as a material which offers a very great advantage for process optimisation. The articles can be reused to some extent. The masks are replaced by the user depending on the degree of wear. 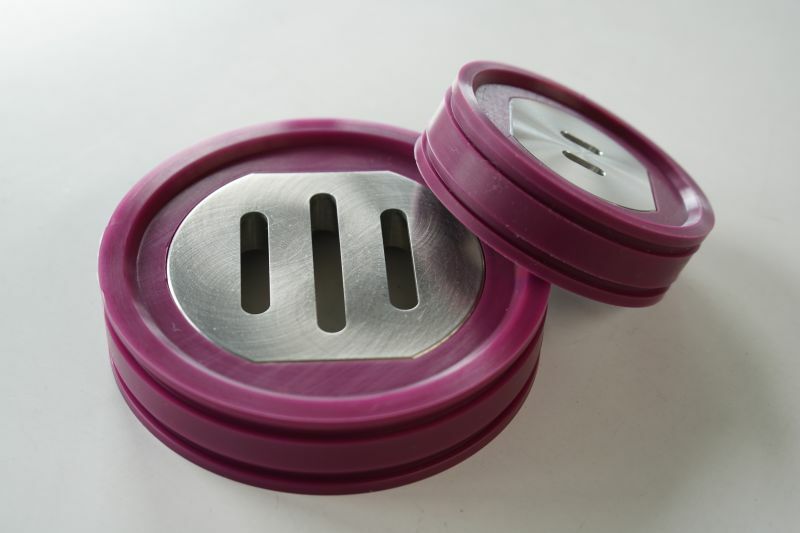 Depending on the requirements for the product, silicone masks are manufactured using LSR or HTV injection moulds. All TLS projects are designed by BIW and ulti-View of the TLS Manufacturing Procedure mately produced in-house by the BIW tool manufacturing department. The first prototypes were assessed and evaluated together with the customer at BIW competence CENTER Mouldings. BIW competence-CENTER Mouldings implements technically and economically efficient projects with special challenges. Contact us if you have a suitable application!